Kuddly is hosting a Thanksgiving-themed video contest and we really want you to join the fun! There will be five winners! If your video is selected as a winner you’ll receive a gift box of your choice from BarkBox, meowbox, or a $40 Gift Card from PetCo. Winners will also receive $20 in Kuddly credits to talk to veterinarians. Record a video no more than 45 seconds with you/family and your pet(s) telling us why you are thankful for your pets in a clever and fun way! 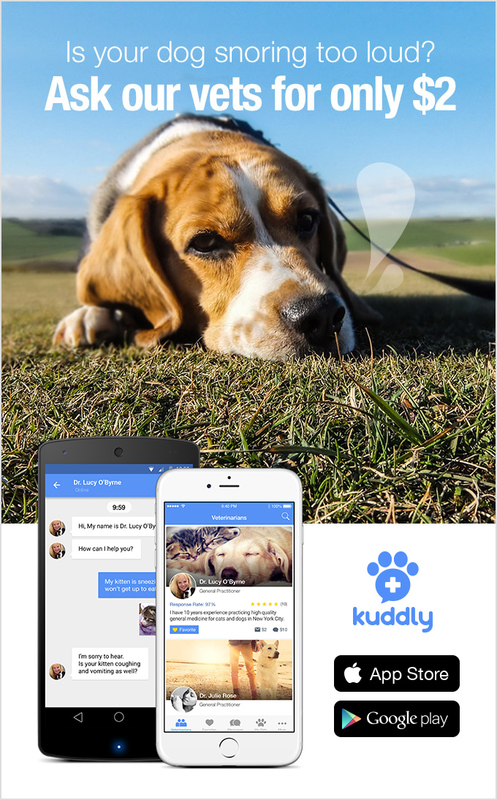 Make sure you have downloaded Kuddly and verified your email to be to be qualified! Deadline to upload your video: November 29, 2015 midnight PST. We will watch all of the videos and decide who is the most thankful this Holiday season! Have fun with your entries! Winners will be announced December 4, 2015. And remember to make sure you check what scraps are okay to share with your pet on Kuddly this Holiday season! ***By submitting an entry into our contest, you allow Kuddly to freely use your submission through all of our social media channels, our website, or other media, in part or in whole.